"The summer picnic gave the ladies a chance to show off their baking hands. On the barbecue pit, chickens and spareribs spattered in their own fat and a sauce whose recipe was guarded in the family like a scandalous affair. However, in the ecumenical light of the summer picnic every true baking artist could reveal her prize to the delight and criticism of the town. Orange sponge cakes and dark brown mounds dripping Hershey's chocolate stood layer to layer with ice-white coconuts and light brown caramels. Pound cakes sagged with their buttery weight and small children could no more resist licking the icings than their mother could avoid slapping the sticky fingers." Mouthwatering, yes? I imagine the array of food, and am ready to take part in the feast. The ritual of the summer picnic described in I Know Why the Caged Bird Sings is full of food, full of fun, full of life. Here's one of my favorite recipes for ice cream pie to take to a picnic or potluck on a summer day, ready in minutes! Fill a Keebler ready-made cookie crumb crust, any variety, with softened ice cream, any flavor. The good thing about using the ready-made Keebler crust is that it comes with a tin and a cover for the pie. Top with whipped light cream, and chocolate shavings, if desired. Cover and place in freezer; remove from freezer about 10 minutes before serving. "There was going to be a storm and perfect night for rereading Jane Eyre. Bailey had finished his chores and was already behind the stove with Mark Twain." "Pots rattled in the kitchen where Momma was frying corn cakes to go with vegetable soup for supper, and the homey sounds and scents cushioned me as I read of Jane Eyre in the cold English mansion of a colder English gentleman. Uncle Willie was engrossed in the Almanac, his nightly reading, and my brother was far away on a raft on the Mississippi." These are warm and secure moments as the children (and Uncle Willy) are engrossed in their books (before the arrival of an unexpected visitor, Mr. Taylor). The importance of books in Maya Angelou's life was central; she credits her adult friend, Mrs. 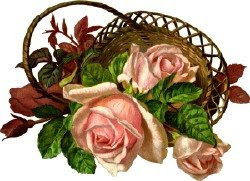 Flowers, for her lifelong love of reading, who, in Maya Angelou's words, "had given me her secret word which called forth a djinn who was to serve me all of my life: books." Also see post, The Power of Books. 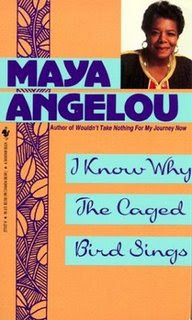 Maya Angelou's I Know Why the Caged Bird Sings is an autobiographical novel (although there are fictional aspects to the work), which highlights the racism she faced growing up, as well as the importance of books and literacy, and tells the story of her life from the age of three until sixteen. I Know Why the Caged Bird Sings was published in 1969, after the author was extremely disturbed by the assassination of civil rights leader Dr. Martin Luther King, Jr., in 1968. James Baldwin, Robert Loomis, and others "dared" Maya Angelou to write an autobiography. At first she was reluctant, because she considered herself a poet, but in 1970 I Know Why the Caged Bird Sings won the National Book Award, and was on the New York Times paperback bestseller list for a few years, the first in a series of six-volumes by Maya Angelou. In I Know Why the Caged Bird Sings, young Maya does not feel she's as beautiful as the rest of her immediate family, but realizes she is smart and sensitive. She adores her older brother, Bailey, Jr., and is an avid reader. Books are her salvation, including the works of Shakespeare. The children travel by train when they're three and four years old by themselves to live with their grandmother, called "Momma", and Uncle Willy, in Stamps, Arkansas. Momma has a general store, "the Store", where Maya and Bailey spend a lot of their time, and she provides a home for Maya and Bailey while their parents live in California and St. Louis. Affected by ugly, senseless racism, Maya must learn to protect her growing strength and dignity. This autobiographical novel has been the target of censorship in homes and schools over the years since it's publication, because it tackles some very difficult subjects. Maya Angelou writes with remarkable spirit. The horrific event of her childhood--she was raped at the age of 8 by her mother's boyfriend--shatters my heart. Somehow she found the courage and strength to go on, and much later to put her story into words, with honesty and compassion. According to Yaffa Claire Draznin's book, Victorian London's Middle-Class Housewife: What She Did All Day, the Victorian housewife was stylish yet "proper". ~ a physical laborer who worked her fingers to the bone! One of the things that Victorian Londoners had to contend with was horse droppings in the streets. Horse-drawn carriages transported people and goods before the advent of motor vehicles at the turn of the century, so there was a lot of horse poop in the streets, tons and tons of it! The average horse produces at least 6 or 7 tons of manure per year--which meant horse droppings everywhere in the streets of Victorian London! According to the book, Victorian London's Middle-Class Housewife: What She Did All Day, by Yaffa Claire Draznin, London streets were constantly swept and cleaned, partly to help Victorian women clad in head-to-toe dresses and skirts, but with all the horses using the streets as their bathroom, housewives struggled to keep their homes clean and sanitary. There was just too much of the stuff outside, all over (impossible to avoid contact with), as well as vast, odoriferous, dung heaps; proper use and disposal was an enormous problem in London during this era. Clothing was largely washed by hand-operated washing machines, and took days to clean, starch, and iron, all of which demanded the housewife's strength and vigor. While out book shopping on this hottest of days, I found Yaffa Claire Draznin's elegant book, Victorian London's Middle-Class Housewife: What She Did All Day, which studies the activities of the housewife of the late 19th century. Draznin provides an in-depth look at how "the real housewives of Victorian London" spent their time in this city in the late 1800's, and became the new consumer class as more modern conveniences were developed. Here you can see the beginnings of today's stay-at-home wife and her influence on society. (Housewife or stay-at-home mother is a misnomer today, though, because most are actually not at home much but have countless activities to attend outside of the home. Personally, I hate the label of housewife and all it evokes--a scattered, overly social woman in frumpy clothing, who spends her days at home watching TV and mixing up casseroles. Instead, I like the image of Joyce Carol Oates, who calls herself a housewife and is also a famous novelist.) With chapters devoted to the business of running a household and several of the roles of London's Victorian housewife--from domestic worker to mother to cook to employer to financial manager to social director to health guardian and so on--Draznin provides a history of late Victorian London, complete with photos and simple, charming illustrations, and gives these women the attention and dignity that they deserve. 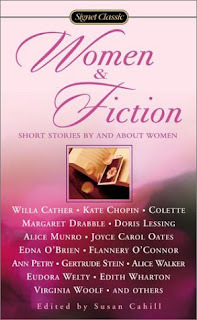 What really strikes me as I read Women & Fiction: Short Stories by and about Women is the intensity that these women must have felt in their daily lives, which they deftly wove into their vivid writing. 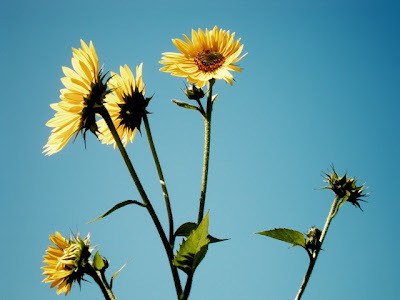 Perhaps this "hypersensitivity" contributed to other things in addition to writing, such as mental disorders, but all in all these writers show a deep appreciation for life and interest in others, and used writing as an outlet for this very fullness of thought and feeling (how can you keep it all in?). They wrote to express themselves and to gauge the reactions of others--did they feel the same way? I don't know about you but when I read something written by a writer that expresses my own views, I feel an immediate kinship with that writer, and a gratefulness to the writer, who makes me feel that I'm not entirely alone in my thoughts. 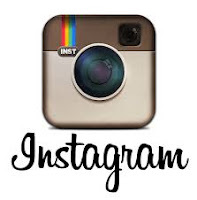 I haven't left the "blogosphere", but have had no internet access for a couple of days. It's wonderful to be back writing! Many of the writers in Women & Fiction struggled with the difficulty of finding the time to write, yet, they managed; they realized that the fullness of their lives only contributed to the quality of their writing. 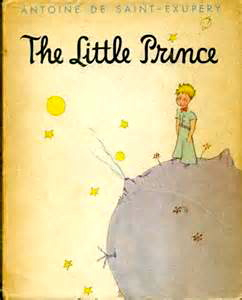 In fact, they wrote about the very fullness of their lives--about children, parties, love, life, and death! 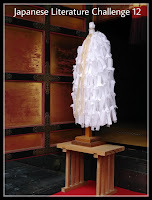 This is a challenge to the artist: experience life fully to create art, and also find the time alone to create unhampered. It's hard to devote time to writing or any other artistic endeavor when you have children or other relationships that demand your presence, time, and energy, but I think most women would agree that the experience of raising children or having other important relationships is essential to the creation of art. 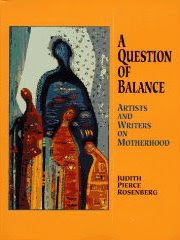 An uplifting book of essays, A Question of Balance: Artists and Writers on Motherhood, compiled by Judith Pierce Rosenberg from twenty-five women artists, pertains specifically to motherhood and artistic creation, and is filled with interesting stories, insights, and support by women who were able to achieve their artistic and personal goals. The poll is over. Those who responded read more in the summer. I am open to suggestions for other polls, as well as your comments. Although the I've found differing dates for the first Father's Day in America, the holiday was founded by Sonora Smart Dodd of Washington, who proposed the idea of Father's Day in 1909 to honor her own father, William Smart. He had raised several children as a single parent after his wife died in childbirth with their sixth child. In 1966, President Lyndon Johnson signed a proclamation declaring the third Sunday of June as Father's Day across the United States. Happy Father's Day! Take a moment today to appreciate your father or the father figures who've shown you love and support over the years. "Blessed indeed is the man who hears many gentle voices call him father." Last night I relaxed in "reading bed" with my daughter (she fell asleep next to me) and finished The Hidden Target. It's an exciting book, and I'm glad to have had the experience of reading something different from my usual choices. Virginia Woolf (1882-1941) English novelist and essayist, was Adeline Virginia Stephen prior to her marriage to writer Leonard Woolf in 1912. She was both a feminist and a modernist. 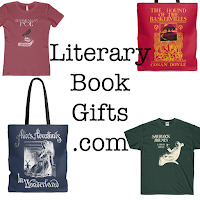 Her novels often departed from traditional plots to follow the inner lives and musings of her characters. 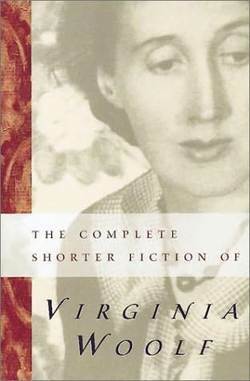 A writer of extreme sensitivity and talent, Virginia Woolf may have been bipolar; she struggled with her own heightened awareness (like the main character in the New Dress), and bouts of depression, and ended her own life by drowning herself in a river, weighed down by stones in her pockets. Even though I'm in the middle of another book, I couldn't resist reading the Virginia Woolf section of Women & Fiction: Short Stories By and About Women. Born in London in 1882, Virginia Woolf was educated at home, and had the benefit of her father's great library, as well as the company of her father's friends, prominent people such as Thomas Hardy, Robert Louis Stevenson, and John Ruskin. ". . . living as she did in the common sitting-room, surrounded by people, a women was trained to use her mind in observation and upon the analysis of character. She was trained to be a novelist and not be a poet." Virginia Woolf believed that women were better suited to write novels rather than poetry because of their role in society as observers in parlors and sitting-rooms, rather than adventurers out in the world that "belonged" to men. Woolf's fiction centers around the consciousness of women--their thoughts, the people and relationships in their lives, and social appearances and customs. This was her world, her experience, and although it may have been limiting in certain respects, she used her sensitivity to generate a prolific career as a fiction writer. Women & Fiction features her short story, The New Dress, in which the main character, Mabel Waring, agonizes over her decision to wear her new dress to an afternoon tea at Mrs. Dalloway's. It's brutally honest and real, and painful to read as Mabel, who feels like a "dowdy, decrepit, horribly dingy old fly" reveals her true thoughts and insecurities. Written in 1924 (but not published until 1927), The New Dress is one of Virginia Woolf's most popular short stories, still widely read today; you can even read it online. What did Virginia Woolf think about short stories? She never prioritized this genre, although she wrote short fiction throughout her writing career. For Virginia Woolf, short stories may have been projects to sustain her between novels. Her husband, Leonard Woolf, said she "used at intervals to write short stories. It was her custom, whenever an idea for one occurred to her, to sketch it out in a very rough form and then to put it away in a drawer. Later, if an editor asked her for a short story, and she felt in the mood to write one (which was not frequent), she would take a sketch out of her drawer and rewrite it, sometimes a great many times. Or if she felt, as she often did, while writing a novel that she required to rest her mind by working on something else for a time, she would either write a critical essay or work upon one of her sketches for short stories." In 1921, Virginia and Leonard Woolf published Monday or Tuesday, (which you can read online), a volume of eight short stories, the only collection of Woolf's stories published during her lifetime. I don't watch a lot of T.V.--I'd rather read if I have the time before bed--but I do watch the show, So You Think You Can Dance. I especially enjoy watching it with my daughters, who've had several years of dance training. The grace, strength, and beauty of these dancers, who compete to be chosen as "America's favorite dancer", is remarkable. They are under great pressure to perform well despite injuries, lack of sleep, and various other challenges. These dancers are light on their feet and everything they do looks effortless (although you know tremendous amounts of hard work and discipline proceed this illusion). Inspired by the show, I try to "lighten" my own moves, be more graceful, dancer-like. Even though I'm still reading The Hidden Target, and vowed not to get any books for myself when I entered Barnes & Noble to get my daughter a book, I couldn't resist the summer reading table, and bought two paperbacks, I Know Why the Caged Bird Sings by Maya Angelou, and Women & Fiction: Short Stories by and about Women written by various women authors (Willa Cather, Margaret Drabble, Alice Walker, Eudora Welty, and many more). With all this good reading to look forward to, I want nothing more to do this summer than read! I already have several other books on my reading list for the summer and didn't need any more books but I got them anyway. Remember that fancy French water with the bubbles you drank on special occasions? It all started with green glass bottles about thirty years ago. Last month a book, Bottlemania: How Water Went on Sale & Why We Bought It, came out about bottled water and asks whether it's really healthier than tap water. I heard the author, Elizabeth Royte, being interviewed today on NPR, and she was drinking a glass of tap water during the interview. She said she had her water tested for about $144, and learned that it was safe to drink. The book discusses the growth of the bottled water industry, which started with Perrier, and is projected to be a $16 billion industry this year in the United States alone. 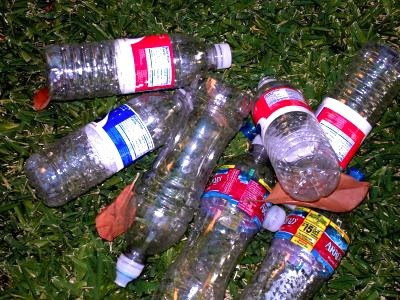 Royte, a scientist as well as a writer, also talks about the enormous ecological impact of all these plastic water bottles. I think it's important to educate yourself about the environmental effects of bottled water. After reading Kevin Trudeau's book, Natural Cures "They" Don't Want You To Know About, I had a water filter installed, so I feel pretty confident about using our tap water for drinking, cooking, and bathing, even though I haven't had it tested. Here in Southern California we pay for our tap water, every single drop, because we have a lack of local water resources and drought conditions, but it's surely not as costly to people or the environment as bottled water. I should be finished reading The Hidden Target by now, but we've had a house guest, and were gone most of the day at a party, so I 'll be lucky to read a chapter before bed. I am content with this amount of reading for tonight. I am not in any particular rush to finish this book, although I do need to return it to Sandie. I've several other books to read when I'm done, although I haven't chosen the next one yet. When is the right moment to decide what to read next? 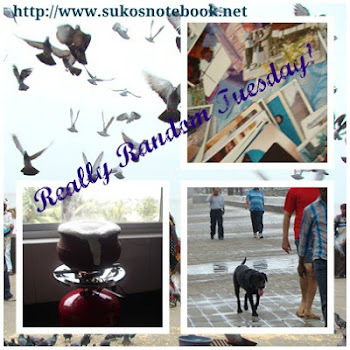 Do your book choices seem random, unconnected at times? For a while all I read were "tried and true" Nicholas Sparks books, so I limited my choices accordingly. 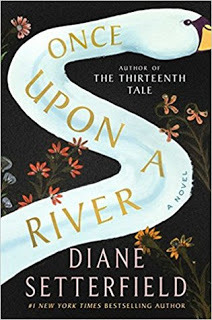 Even though his books have many surprises in them, I knew what to expect in a general sense (tragic love stories, featuring restaurant and cooking scenes, and much passion) and I didn't concern myself with any books outside of this realm. (As I mentioned in a recent post I still want to read The Choice and The Rescue by Nicholas Sparks, as well as his new book, The Lucky One, which should be out soon.) I'm expecting to get The Art of Being Kind any day now in the mail, and today I read the short, first chapter of Honeymoon by James Patterson so I may read the whole thing. Another thriller. I've never read any books by James Patterson before. I'm not sure if I will. But it's great to have limitless possibilities, to have your pick of classic literature as well as the latest books, and everything in between, even though it makes it that much harder to choose. How do you decide what to read next? How and why does a book "strike your fancy" before you've read it? Do we judge books by their covers to an extent? Recently some friends have asked me if I'm still blogging and I've replied that I'm still "blogging away". 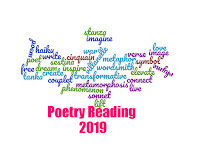 It's not an ego thing for me--although of course it would be wonderful to have an explosion of traffic to this blog--it's more about writing and producing something, recording thoughts and sharing my love of books and reading. I've always had the idea to be a writer of some sort, and Suko's Notebook impels me to write frequently. 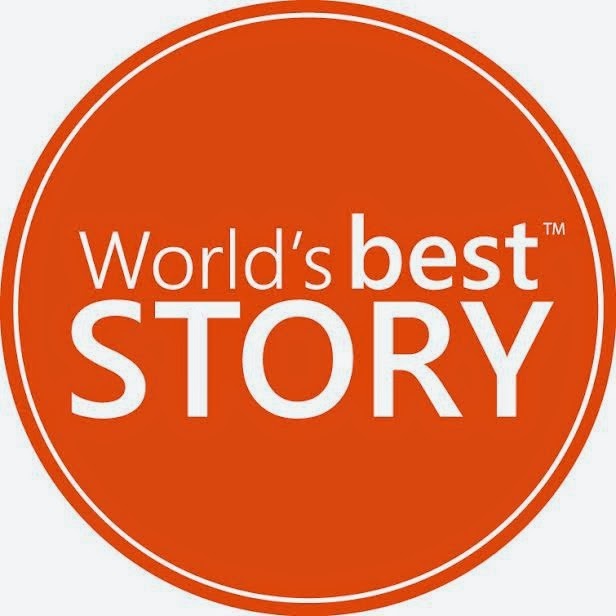 Many of us want to write novels, or newspaper columns, or articles for magazines, to be respected for our ideas and words, but we don't sit down and actually write anything. 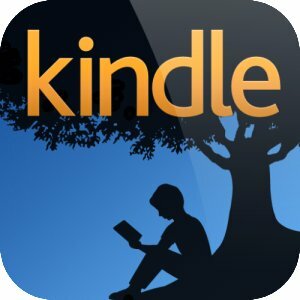 The internet is unique because it gives you the opportunity to self-publish (and include graphics and links) and it's international! I've already had traffic from Mexico, Jamaica, and Canada. So even on days when my posts get a minimum of hits, it's still an exciting, creative venture for me because I look at the whole picture. I also hope to be somewhat of an incidental historian; a hundred years from now, people may read my words and learn about American culture of the past. For those of you that haven't read my profile or early posts, I'm a fan of author Nicholas Sparks. I didn't expect to enjoy his romances as much as I do. I never read Harlequin romances or those sort of books as I have no interest in them. 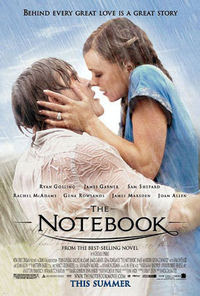 I started by reading Sparks' first book, The Notebook, which I absolutely loved. It's a fabulous introduction to his bestselling romance novels, which are well written, believable, love stories with poignant endings. After reading The Notebook, I hesitated to read other books by Nicholas Sparks--frankly I didn't think they'd be as good as The Notebook--but then gradually found and read several others by him. They're all first-rate romances! I'm ready to pack my bags and move to--or at least visit--North Carolina, the setting for most of Sparks' NY Times bestsellers. I've read all of these except for The Choice and The Rescue. According to Nicholas Sparks' website, he has a new book in the works, The Lucky One (due Sept. 2008). Three of his books have been made into movies, The Notebook, Message in a Bottle, and A Walk to Remember. Nights in Rodanthe will be released as a feature film in September 2008. Infamous "June Gloom" has settled upon us, but I welcome the drizzly gray skies --perfect reading weather--although I can't sit and read all day, except in my dreams. My idea of a great weekend would be to just read for the entire time, without having to go anywhere, but that's an impossibility for me right now with a family. It may sound boring to you, but that's my idea of a real break. 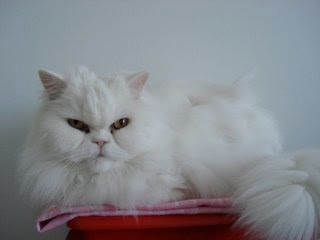 You already love your cat. This book will make you worship your cat. Cleveland Amory's Compleat Cat is a very long book, over 800 pages, because it's actually a collection of Armory's three international bestsellers, The Cat Who Came for Christmas, The Cat and the Curmudgeon, and The Best Cat Ever. I found that reading it makes me adore my own cat all the more, and I'm even able to forgive her annoying idiosyncrasies (waking me up in the wee hours of the morning for a snack, and frequent, loud mewing--what is she trying to say?). One great thing about this book is that you can keep it at your bedside and enjoy a few pages when you are able, and not have to worry about how much time has gone by since you last picked it up; it will immediately re-engage you. With everything from humorous quotes from Mark Twain, ' If man could be crossed with a cat, it would improve man, but it would deteriorate the cat', to amusing stories--a cat who manages a veterinary office-- observations about cats, arguments for animal rights (Armory founded The Fund for Animals in 1967), and much more (the book needs an index), this charming collection of anecdotes belongs in the library of every cat person. The Compleat Cat will confirm what you've already suspected, that, in the words of Leonardo da Vinci and Cleveland Armory, 'the smallest feline is a masterpiece'. I wondered who was calling me today before 8:30 am. This early morning call was from my daughter, asking me to please bring her book to school so she could read it. "Okay", I told her, even though I didn't feel like driving to school again, but of course I want to encourage her to read. She's a social butterfly at school, but also enjoys reading and is a very careful reader. Her fifth grade class has some time to read during the school day, especially now since the school year is wrapping up. So I made a second trip to school within a half hour of drop-off to bring her Jason and Marceline by Jerry Spinelli. Before I left, I read the back cover. It's the story of a romance developing between these two characters, who have been friends since the seventh grade. Now they're in ninth grade, and are starting to like each other as more than friends. Hmmm . . . I may read this after she does and see what it's all about. (I also share books with my teen daughter.) I've read other books by Jerry Spinelli and find his books entertaining. It's a lot of fun to read these books as an adult, as I have already been through all this stuff (thank goodness!). My daughter takes them more seriously, as she is very young.